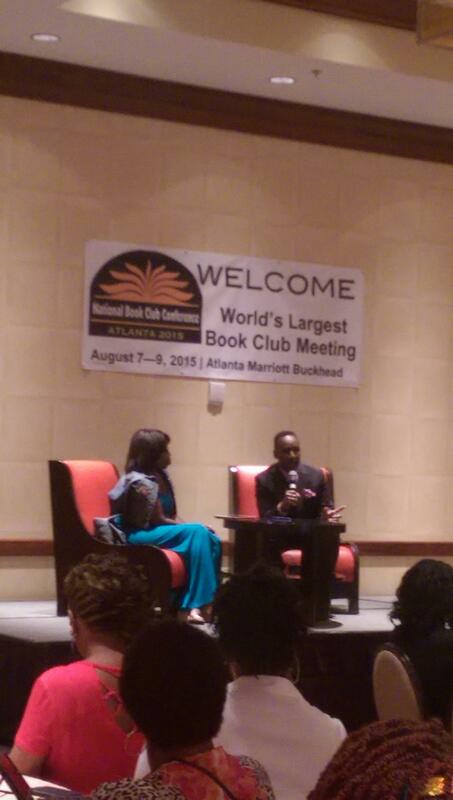 National Book Club Conference in Atlanta! Y’all, I have been on one. 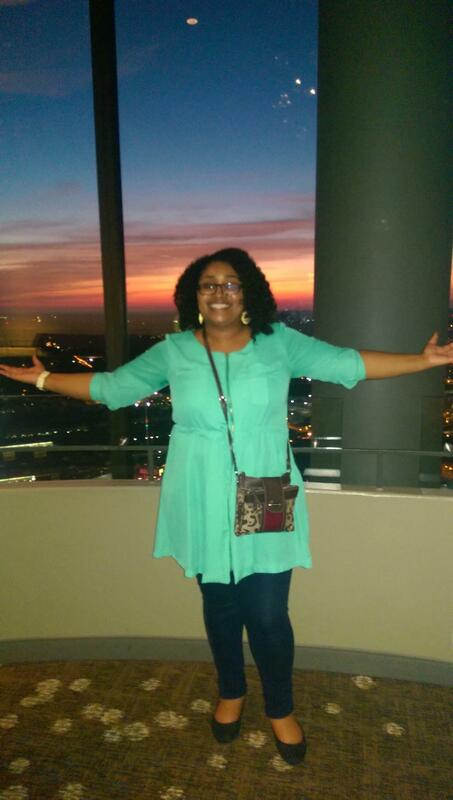 I traveled to Atlanta, GA over the weekend to attend the 13th annual National Book Club Conference and my little nerd heart must have expanded at least a dozen times! 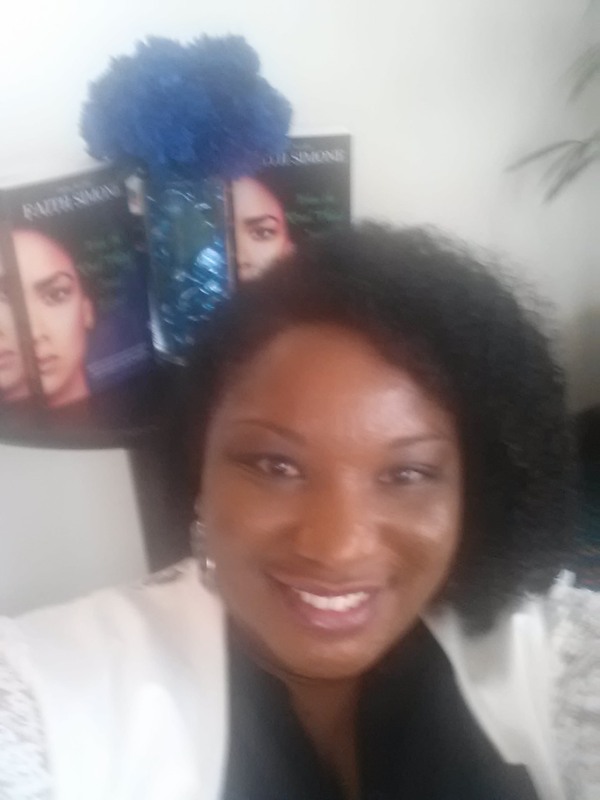 It was so much fun connecting with other authors and new readers. Here’s a quick re-cap of the weekend. 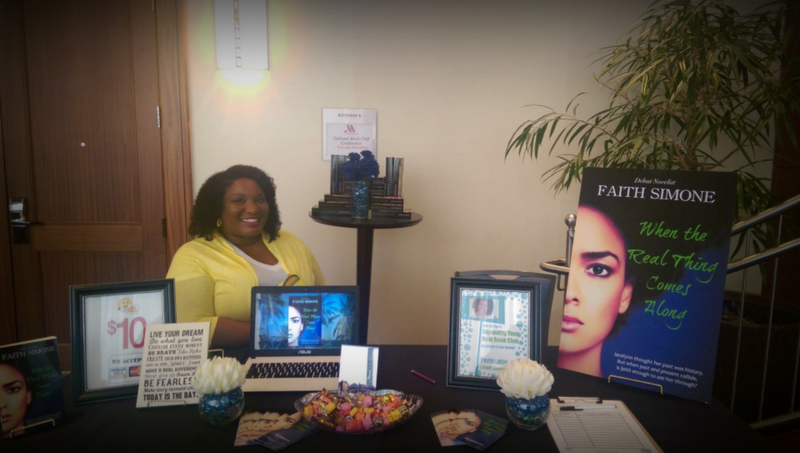 Me at my beautiful author table. Can you tell I was nervous? I got several compliments on how welcoming my table was. I think the candy helped. A lot. But when I busted out the cookies, things went to a whole ‘nother level. Just FYI, if you’re ever trying to market a children’s book, put cookies on your table. The kids just kept coming back for more. I was like, “Bring your mama next time!” Just kidding, I love the kiddies. These ladies made my day! They were my first customers of the day and they bought a total of 5 books! Color me happy. They even brought me a piece of homemade strawberry pound cake that was all of that and then some. 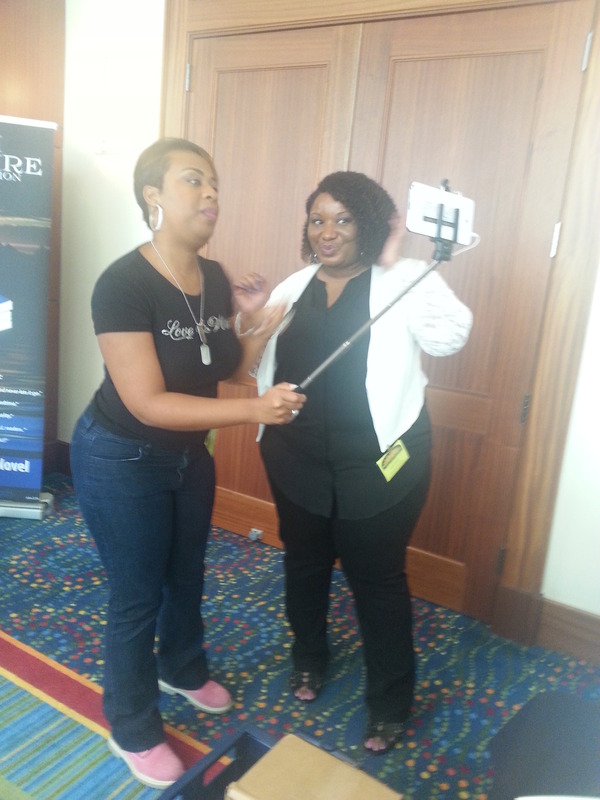 I was able to attend one of the workshops with Victoria Christopher Murray and Eric Jerome Dickey. They have over 50 books between them and it was very interesting to learn about their process. I’ll post (and Periscope) more about that later. But why weren’t either one of my sisters afraid tho? Just me with my crazy self. Day 2. I’m tired as all get out from my late night shenanigans, but still ready for the day ahead! Can you tell how red my eyes were? My A 1 since day 1. 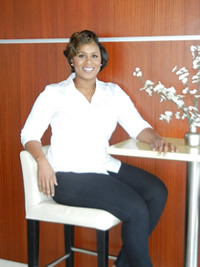 Sista C.J. was a great assistant and totally redeemed herself for her past slip ups! Well, that’s all folks! If you have a love affair with books and love connecting with like minded people, I highly suggest you attend the National Book Club Conference. Update: I had a cameo appearance in the conference video. I look like I’m having the time of my life at approximately 1:45 ish. Check it out! What did you get into over the weekend? Anyone in need of a life coach? How about some inspiration? What about a guideline for overcoming past pain and regret? Then keep reading to find out more about all of the above! My name is Berline Thenor. I have no pen name. I wanted a pen name to sound all mysterious, but couldn’t think of anything so I just stuck with my name. My genres include Christian/Inspirational/Devotional/Self-Help for all. 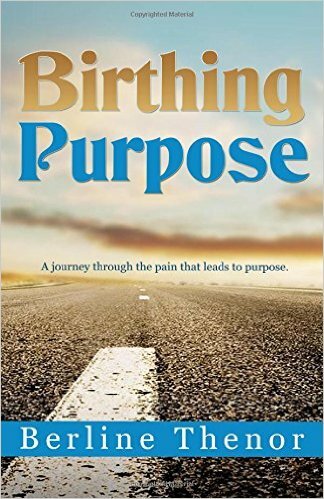 I have written and published my first devotional called Birthing Purpose. I also write a ‘Weekly Inspiration’ that I send out via email. I started writing… well actually, I realized that it was a gift/talent I had in 2012. 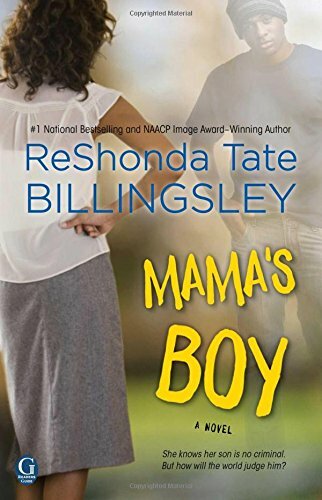 After coming through a real dark period in my life I realized that my ability to write was one of the things that had been birthed out of me and I fell in love with it. It wasn’t until 2013 that I started taking time to cultivate it. Currently, I am part-time. But soon and very soon I will focus on it full-time as I turn into a full-time life coach. I don’t necessarily have to make time because I am literally writing all day. If a thought pops into my head I stop what I am doing to jot it down no matter how long it takes to get it out. If I am in the car I record the words on my phone and translate it into my notebook later. However, the majority of my writing I do late at night after I am finished with my day. I devote about five to six hours to just writing or editing. My process is kind of weird or I feel weird when I get into writing mode. Seriously, I will open up my laptop or notebook and won’t start writing for another 30 minutes. After that I may write down a sentence or two and stop and then about an hour later my thoughts come together. That is when I find myself with my ear plugs in writing out everything that comes to my mind. Once I get it all out I leave it alone until the next day. I write about six days a week. My music choice is usually gospel. I like live music so I have created a playlist on YouTube to get me going. Something about live gospel music or live music from my favorite singer keeps me flowing as I write. I keep something I call sort of like journal. It is a notebook that I write all kinds of stuff in. Recently I have been gifted some really nice journals that I have begun writing in, but I still love my notebook. When I run out of paper there I may just use the journal. No, it does not help my professional writing because the thoughts in my journal are about my journey and how I feel God is using me. What inspires me is how I feel and sense God using me to reach others. I think its mind-blowing how He will download something in me to help someone else and I love it. I love being used in that way. Plus I love to help people and bring them to God so that they may release what is burdening them. I want my writing to lead people to get to know the God that I know and write about. I want it to help people begin a journey to get in touch with God and all that He encompasses. My best advice is to stay true to you and what God puts on your heart. Many times people will try to direct you in the path they think you should go, but you must stay true to you and your craft. Also, don’t get discouraged by seeing others authors in your genre; there is room for everybody, but not copycats so again stay true to what is in your heart. As I think about my bookshelf I am not sure of how to answer because there are all types of books on there. 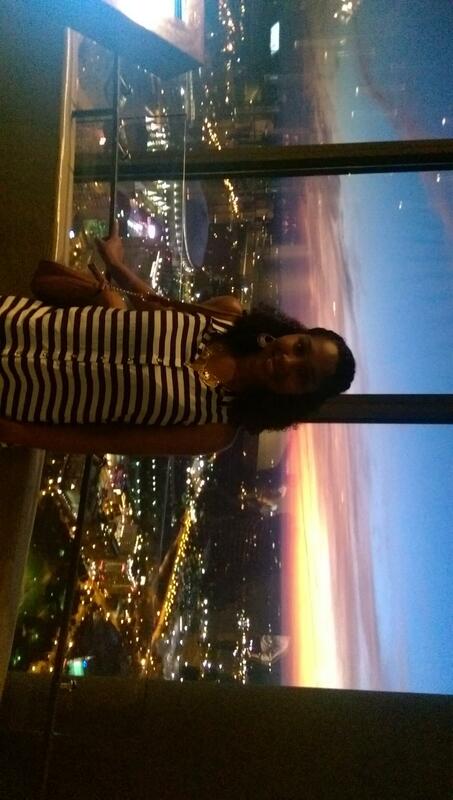 I have inspirational, relationship, fiction, non-fiction and self-help from writers of all genres. Plus, there are some I cannot mention because I may get a major side-eye. I am currently working on my second book on the nameless women in the Bible. I feel like we can learn so much from their stories even though we don’t know their names. Just like we can learn something from the women we meet daily. Even if we don’t remember their name we will remember their story. It is untouchable. It cannot be measured. It is consuming. It makes you feel things that you never thought you could feel. It will leave you speechless, unable to describe in words what it is. Every heartbeat sends it flowing into your bloodstream. Unaware of its next move, you lay awake at night hoping that you can keep it from growing deeper. In places that were once peaceful it finds you. It causes tears to flow from a place that is unfamiliar to you. It causes you to find pleasure in its affliction. It came with an agenda: steal your joy, destroy you, and kill the purpose within you. That ‘IT’ is called pain. It came without warning, but upon its arrival, instantly, it made its presence known by taking residence in every part of you. It came with a grave already dug to bury you. It will convince you that it is over for you, that you have run out of your portion of grace, and that God cannot save you. However, something far more powerful than pain is within. That something within is the life support that is sustaining despite the depths the pain reaches. That something becomes strength when weakness takes over. That something awakens out of the pain and refuses to let the pain be the end of the story, because there is more written. The pain brings purpose to life and before the pain claims the victory, purpose will fight to see the light. The discovering and birthing of purpose is the up side to the pain if pain does not win. When pain hits, it creates an opening within for God to fertilize the purpose that was planted within when we occupied the womb. God allows us to feel the depths of pain, not to the point where it kills, but to the point where it becomes the route through which our purpose is birthed. Through the tears of the pain, the afflictions felt, and battles fought, purpose journeys through that darkness to fulfill the task assigned to it. If you do not allow pain to kill your purpose and you get in touch with what it is awakening within you, then you will be able to birth your purpose out of the pain. It is time to let go of the pain and allow yourself to be caught by grace that will propel you into birthing your purpose. The book reads like a devotional, but it does have a main character and that character is pain. I know it sounds funny, but it is. It explores the depths of pain; the damage it can cause and cost of letting it win. If a movie had to be made regarding the emotions and actions of what someone goes through when their heart is broken and what they go through to try to escape the pain left behind I would want Keke Palmer to play lead. My book is available on Amazon, B&N and all other online retailers. I am currently working on getting my website together and when it is ready it will be posted on all my social media platforms. 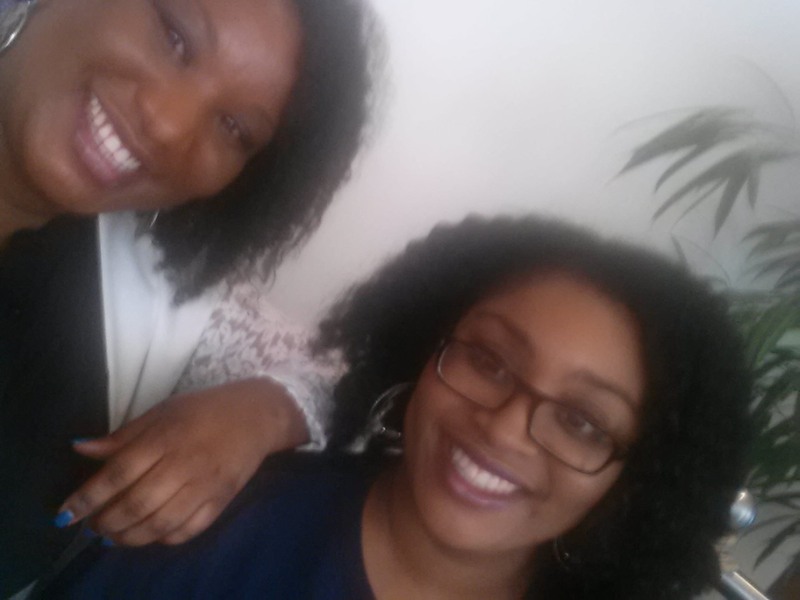 Faith Simone says: My favorite part of this interview is when Berline reminds us to stay true to ourselves. I always say, “There’s only one me and no one can do it better!” I also love the part about learning from the experiences of others. HOW DO YOU TURN YOUR PAIN INTO PURPOSE?